The Gateway of India has a chequered history. And among all the things that it's known for...the one thing that has remained obscured from history is the fact that the last of the British troops left India from this iconic structure. The 26-metre-tall monument located in the South Mumbai attracts millions of tourists from across the world for years on end. It was built to commemorate King George V and Queen Mary's visit to India. The construction of the monument began in the year 1913. The foundation stone was laid by the-then Governor of Bombay Sir George Sydenham Clarke. The final design was sanctioned by George Wittet in August, 1914. Until then, the royals only got to see the cardboard model. The construction was completed in 1924 and inaugurated by the Earl of Reading. The monument is bordered by the Arabian Sea while being located at the tip of Apollo Bunder in the Colaba district of South Mumbai. The Gateway of India was built using the Yellow basalt and is known for its Indo-Saracenic style of architecture. It is a combination of Hindu and Muslim architectural styles. The structure was erected at the cost of Rs 21 lakhs back in the day, a princely sum borne by the Imperial Government of India. The famous monument is not only known for its history and architecture but also for witnessing multiple attacks. The first in 2003 when a bomb planted in a taxi parked opposite Taj Mahal Hotel claimed several lives. Another disturbing incident took place in 2005 when, within the premises of Gateway of India, a deranged man attacked two women from Manipur and stabbed one in the neck to death. 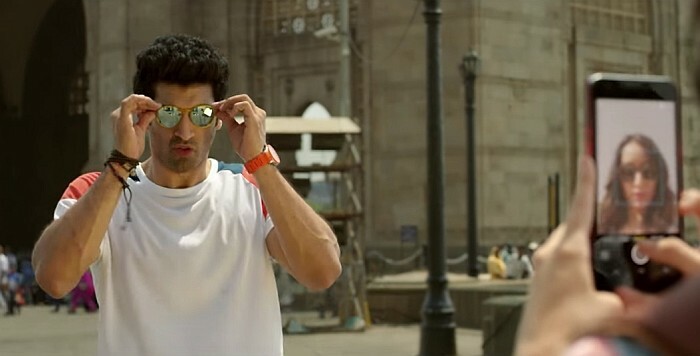 Ok Jaanu: The 2016 romantic-drama movie OK Jaanu’s title track consists of a scene shot at Gateway. Aditya Roy Kapoor is seen posing for a picture while Shraddha Kapoor is capturing selfies instead. Bombay: Here the song ‘Halla Gulla’ from Mani Ratnam’s Bombay, starring Arvind Swamy and Manisha Koirala, was shot here. The family is seen having a good time in the premises of Gateway. The children run along the walls and feed the pigeons, while the mother stands before the monument watching her children and husband play. Another scene displays the couple embracing each other below the arch. The monument seems to have been used as symbol of love and trust. Parinda: It is featured as a backdrop in the movie Parinda, when Kishen and Karan have a conversation. The climax of the movie was shot at Gateway. The movie shows a few brilliant shots of the monument. 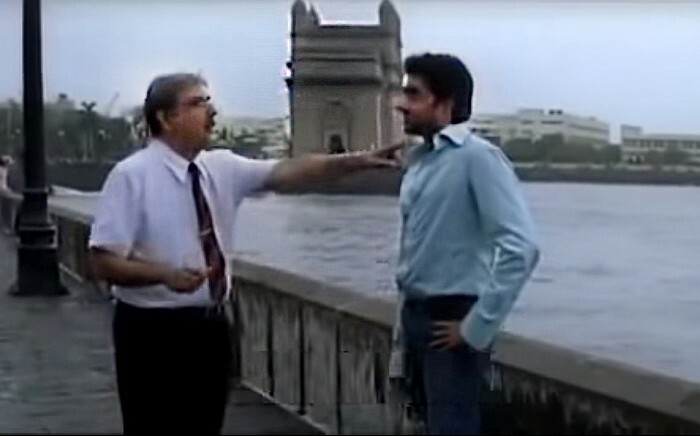 Don: The entire song ‘Bambai Nagaria’ from the 1978 movie Don is shot at Gateway of India. 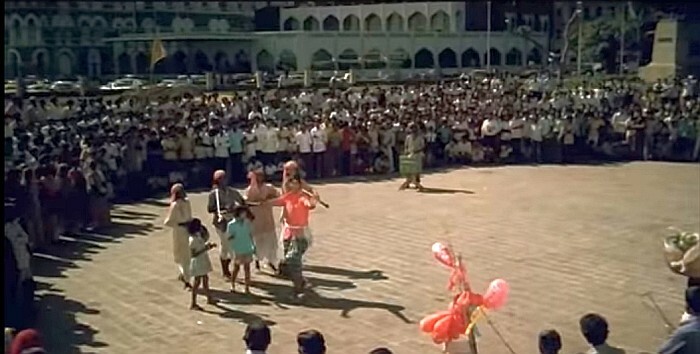 The song showcases actor Amitabh Bachchan dancing to the song at the premises of the monument. Ghajini: The scene from the thriller-drama movie Ghajini, where Aamir Khan and Asin help the foreign tourists with directions was shot right in front of Gateway of India. You can see the structure in the backdrop, which has also captured the flying pigeons. Bluffmaster: The scene from the movie Bluffmaster that consists of a conversation between Abhishek Bachchan and Boman Irani was shot by the walls of Gateway. It is famously known as the ‘Life Gyan’ scene. Singham Returns: Singham Return became the first movie to be shot at Gateway of India following the 26/11 attack. Several action scenes are shot at this location. Mr India: Scenes from the movie show how Gateway of India looked in the 80s. Like several other movies, Mr. India also has been shot with Gateway in the backdrop of scenes, in the presence of pigeons. The Gateway Of India: The 1957 movie consists scenes shot at Gateway of India, where Madhubala plans a meeting with a few shady people she comes across while wandering on the streets of Mumbai. The idea behind the meeting was to catch the culprits at Gateway. Besides the ones above, several other Bollywood and Hollywood movies have been shot in and around Gateway of India. A majority of the movies shot in Mumbai have a scene or two representing the beautiful monument. Few other Indian movies associated with Gateway of India include Once Upon A Time In Mumbai, Attack of 26/11, Mann, Kalyug and so on. So the next time you decide to watch a movie, be prepared to spot the monument of importance in it.